Murree is Pakistan’s favourite hill station. It is a distance of 50 kilometers northeast of Islamabad in the foot hills of the Himalayas at an altitude of 7500 feet. Murree is famous for its cooler climate and lush green scenery, alpine forests and windy road. The British colonial government built Murree town soon after it captured this part of the then India in 1850. Murree lies between Kashmir Point and Pindi Point. 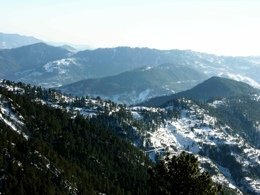 Kashmir point gives a panoramic view of the snow covered Himalaya and Pir Panjal Mountain in Kashmir whilst Pindi point overlooks the capital Islamabad and sister city Rawlpindi. 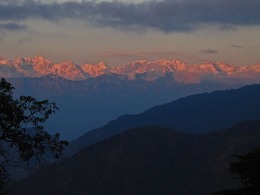 The most popular area in the hill station is the Mall Road running over two kilometers long. Here one can barter in the bazaars. Bhurban is situated 13 kilometers from Murree on one of the main roads leading to Azad Kashmir. The five star hotel Pearl Continental and nine-hole golf course has also become a tourist attraction in itself. With beautiful views overlooking Kashmir.